First Episode Of 'All Things Considered' Is Headed To Library Of Congress : The Two-Way The NPR program's inaugural 1971 broadcast has been added to the National Recording Registry, alongside other "aural treasures" like Judy Garland's "Over the Rainbow." Take a listen to the first show! 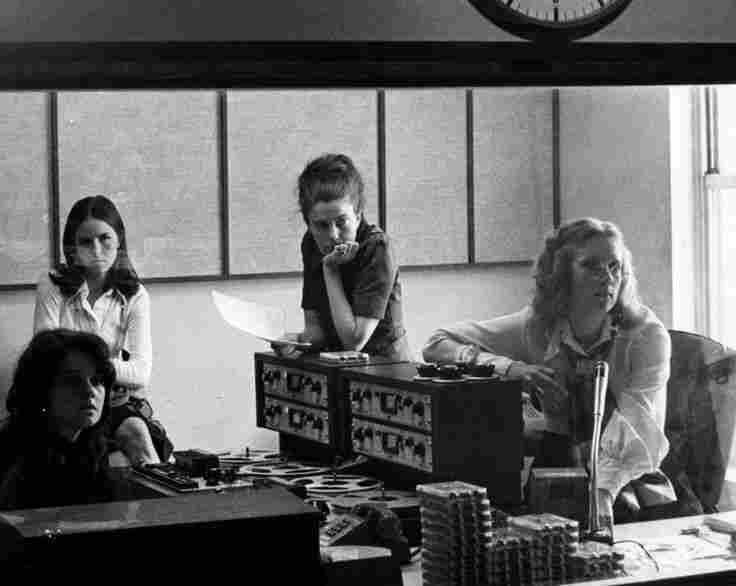 (From left) Renee Chaney, visitor Louisa Parker, Linda Wertheimer and Kris Mortensen, in the first All Things Considered studio in 1972. Quick quiz: What do Judy Garland's rendition of "Over the Rainbow," N.W.A's seminal Straight Outta Compton and the inaugural episode of NPR's All Things Considered have in common? That little riddle just got a little easier to answer on Wednesday: The Library of Congress announced that all three "aural treasures" — along with roughly two dozen other recordings — have been inducted into its National Recording Registry. "These sounds of the past enrich our understanding of the nation's cultural history and our history in general," Librarian of Congress Carla Hayden said in a statement. The release also notes that these titles have been inducted for "their cultural, artistic and historical importance to American society and the nation's audio heritage." Below, take a listen to a piece from the debut of All Things Considered, which focused on May Day protests against the Vietnam War on May 3, 1971, roughly one month after NPR itself got its start. "It is such an honor and a privilege to be brought into this distinguished company," said Susan Stamberg, who has been with NPR since the very start, and had a 14-year run as host of All Things Considered, beginning in 1972. "For the sounds that we made on the first day to be right up there with Martin Luther King Jr.'s 'I Have a Dream' speech or Neil Armstrong's first words spoken by a human being on the moon — that's very lofty company for us." Now, with the first All Things Considered — plus other 2016 inductees such as Barbra Streisand's 1964 debut, "People," and the Brooklyn Dodgers' and New York Giants' last game at the Polo Grounds — the total number of works on the National Recording Registry comes to 475. To see more about the induction, and what NPR eminences have to say about it, head right here. 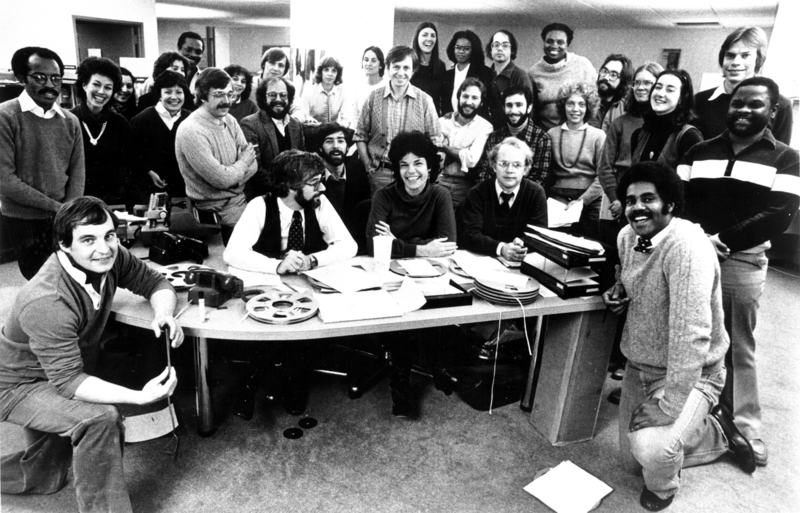 The staff of All Things Considered celebrated the 10th anniversary of the program in 1981.